﻿ The Peninsula Bangkok (Thailand) | FROM $192 - SAVE ON AGODA! "Classic hotel with professional staff." Have a question for The Peninsula Bangkok? "Good Location and QA !!" "Great resort and wonderful location." "The staff is incredibly helpful and definitely makes this stay even better!" "The location , cleanliness & kindness of stuff is amazing." Look no further than the Peninsula Bangkok for outstanding service and a truly unforgettable vacation. Overlooking the river, the rooms here are great for anyone wishing to breathe in the river air as they unwind after a long day out. The Peninsula Bangkok is close to places of interest such as Oriental Hotel Pier, Assumption Cathedral, World Group, Assumption Convent School, and Old Customs House. The property offers family rooms, so you can relax and spend time with your whole family. With a kids club, it offers parents a secure childcare option to keep their children entertained. It has a number of facilities for guests to enjoy, such as a fitness center, a sauna, a tennis court, a garden, and a spa. The Peninsula Bangkok features a bar, a grocery delivery service, restaurants on-site, a coffee shop, and a poolside bar, so there is an assortment of dining and snacking choices. It has several convenient features, such as a salon, an infirmary, shops, and a currency exchange. With tours available, it is the perfect place to stay to learn about your surroundings and see everything you can while you're here. Massages are available, so if you want to spend your day simply relaxing and unwinding, you can easily do so. The Peninsula Bangkok provides free Wi-Fi in all rooms, as well as Wi-Fi in common areas, so guests won't have to spend money on purchasing a local sim card. This property provides a variety of useful services, which include a concierge, a babysitting service, as well as daily housekeeping. The front desk is open at all hours, so there will always be a member of staff on call to help you. English, Filipino, Malay, Burmese, French, and more are spoken at this location. With pet-friendly facilities, the Peninsula Bangkok is great for guests who want to bring their pet on holiday with them. 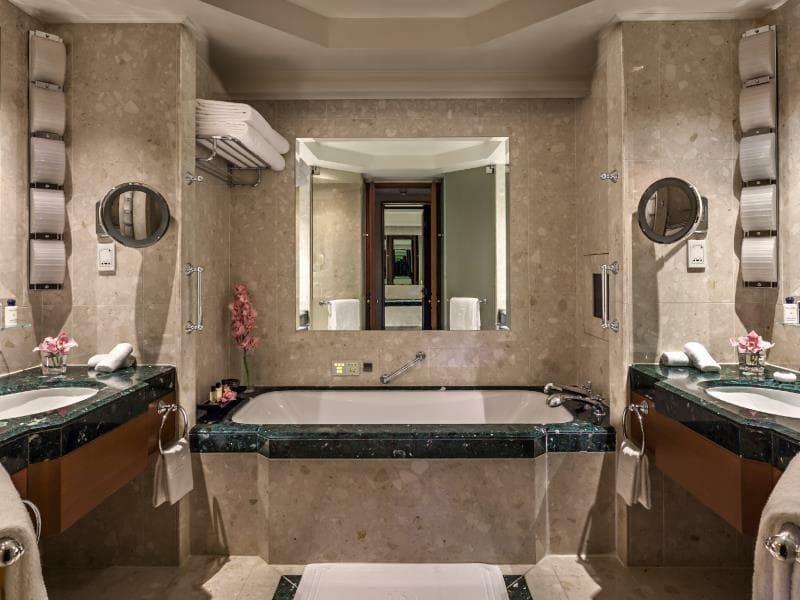 The Peninsula Bangkok offers express, private, and 24-hour check in and check out, allowing you to conveniently use the service that best suits you. Check-in is offered from 02:00 PM and check-out is until 12:00 PM. The Peninsula Bangkok offers a range of transport options, such as airport transfers, car rentals, and taxi services, getting you that much closer to all there is to do in the city. Saphan Taksin BTS Station is 500 m away and Krung Thon Buri BTS Station is 950 m away. The nearest airports are Don Mueang International Airport (DMK) and Suvarnabhumi International Airport (BKK), which are situated 23.5 km and 26.3 km away. "It is good to combine your stays with a modern high rise hot..."
Please note that extra bed is not available in the Balcony room type. Walkable distance to iconsiam where we enjoyed dining and shopping very much. Nice thai restaurant in the hotel and the service is flawless. We can't complain anything for these rates. Definitely we will come back. This place is posh and elegant. We loved the seafood buffet dinner on the riverside watching the boats go by and catching a nice breeze. Then we took a boat over to the other side for drinks at Le Dome. It was so convenient. Would definitely stay here again when I’m in Bangkok. Absolutely SUPERB service, food in the Michel star Thai restaurant was divine, by the water, so serene...amazing get-away in the city we live in! Very best service by international standard. I really love. I have been fortunate to stay in The Peninsula almost since it opened. A hotel that offers a relaxing place in the bustling city of Bangkok, overlooking the river. So much entertaining than overlooking roads of rushing traffic . The staff do their very best to meet the needs of their guests , and are always helpful. Luxury without going to excess unless you wish it to be so by booking one of their special rooms . Just back from my latest stay there and already looking forward to my next visit . We went to Le Mandarin Oriental for lunch. It was great. We visited the hotel lovely too but somehow we preferred The Peninsula. More familiar !! Professional and friendly staffs. Very nice and comfortable room. Excellent food in breakfast. Room was clean. Close to Iconsiam - 10 mins walk. Have boat going to other side of river. Very convenient to Asiatique and BTS station. Good breakfast with big variety and fresh juice. We joined the complimentary sunrise yoga class. The Peninsula name is self explanatory. 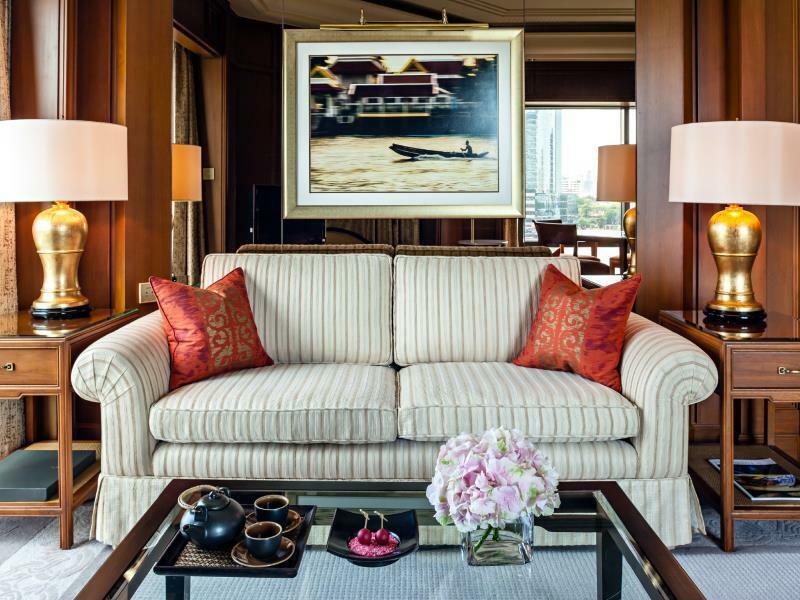 Peninsula Bangkok lives up to its name in terms of the service and hospitality. Although the rooms are a bit old, but they are very functional and has just that little bit of class. The only setback was the location as its not walking distance to the major thoroughfare. Other than that, it was perfect. Can't wait come back again! All the staffs were so nice and helpful. I was night flight , but after check out you are still allowed to enjoy the ficilities of hotel. That was so relaxing having shower before flight. The entire hotel is terrific but our favorite location is on the covered daybeds around the beautiful pools. The pool staff provide brilliant service and the activities on the river provide interesting distractions throughout the day and early evening.